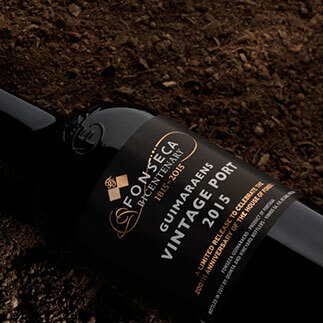 Following the custom of naming Fonseca’s Crusted Ports using bin numbers such as Bin 740 or Bin 82 VG, Alistair Robertson (Fonseca’s Chairman) decided to call the new blend Bin 27, in a revival of this tradition, in 1972 when the project came to fruition. Blended from selected reserve Ports chosen for their smooth, round, full-bodied palate and their fine, intense fruit character. Bottled when ready to drink so it can be served by the glass directly from the bottle. Deep youthful ruby color. Intense rich fruity nose crammed with pure blackberry, cassis, cherry and plum aromas interwoven with notes of spice. Full bodied and round, with a smooth, velvety texture balanced by firm mouth filling tannins. Juicy black fruit flavors linger into a rich, luscious finish. 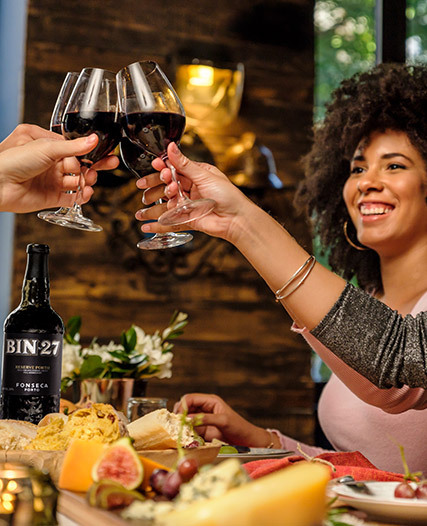 The rich black fruit flavors of Bin 27 are a perfect match for chocolate and berry fruit desserts, or soft ripe cheeses. Also delicious on its own at the end of the meal or on any other relaxed occasion in a generously proportioned wine glass. with plenty of grip and power behind dark plum, chocolate and berry flavors that feature slate and pepper notes. this has a bristle of tannins up front, melding their chocolate richness with dried fruit flavors, ending clean and sweet. 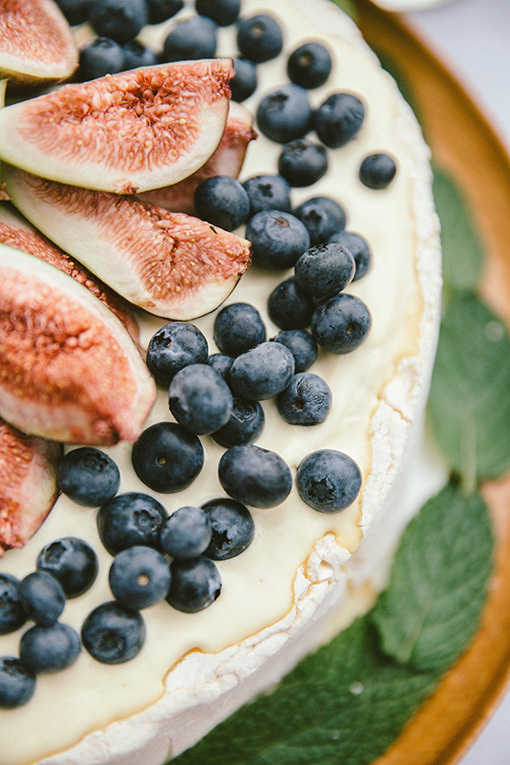 The wine’s lasting spice places it with a savory pumpkin pie. 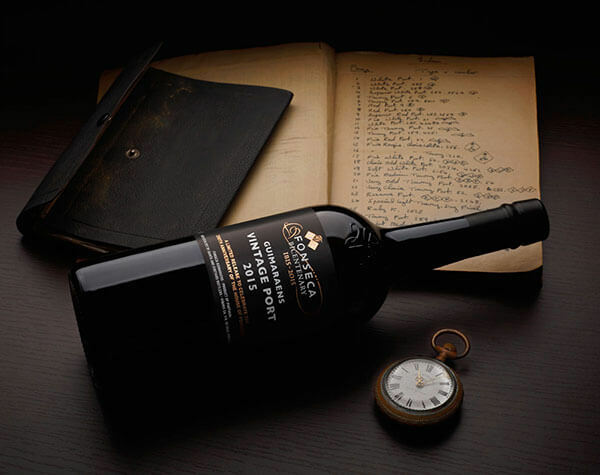 than the Waterloo Edition with nice purity and concentration of cocoa-dusted crushed berries and fruits of the forest. Lovely balance and persistence. Rightly a benchmark Finest Reserve. 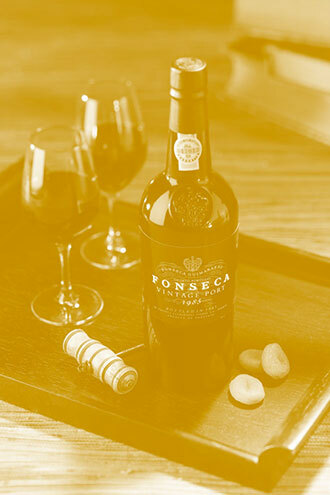 as it's one of the world's most iconic wine styles, and Bin 27 is made by the swaggering talent that is Fonseca. 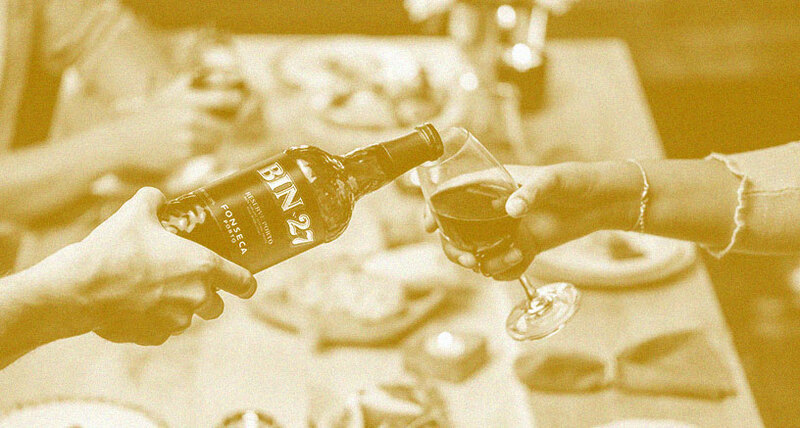 Featuring sensational fruit-cake notes and great balance, it's a genuine crowd-pleaser. 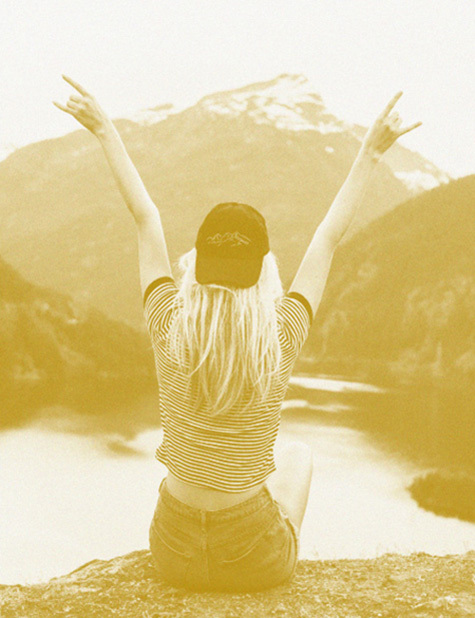 Turn your phone to portrait mode.